KUT's O’Dark 30 is in our brand new digs finally as we bring you more of the very best from the world of independent radio production. Every Sunday at midnight on Austin's KUT 90.5 and also at 4pm on digital KUT2 we present 3 hours of a little bit of everything from the world of independent radio production. A peak inside the acclaimed taqueria in Austin, Texas. Produced by youth reporters at Kealing Middle School for Stories From Deep in the Heart, a project of Texas Folklife. A youth-produced commentary on Aspberger's syndrome. Radio storytelling is an excellent teaching tool for young people in practically any classroom. It builds skills in writing, research, public speaking, interviewing, interpersonal communication, time management, information management, media literacy… shall I go on? Brian Spilbeler gets this. He teaches radio at Carmel High School in Carmel, Indiana, just north of Indianapolis. He’s also the manager of the the school’s radio station, WHJE. Brian’s students produce all kinds of radio including public radio-style commentaries and features. In addition to all the life and learning skills provided by radio storytelling, Brian says radio helps young people find their voice, literally and figuratively, which is important for personal development. One of the better pieces to come out of his program is “Different, Not Disabled” by Ian Kathen, who is now a senior at the school. We’re featuring Ian’s story on this edition of HowSound along with a short primer on youth radio with Brian and Jones Franzel, the Director of Generation PRX, an initiative to support youth produced radio. Here’s to your happy ears! 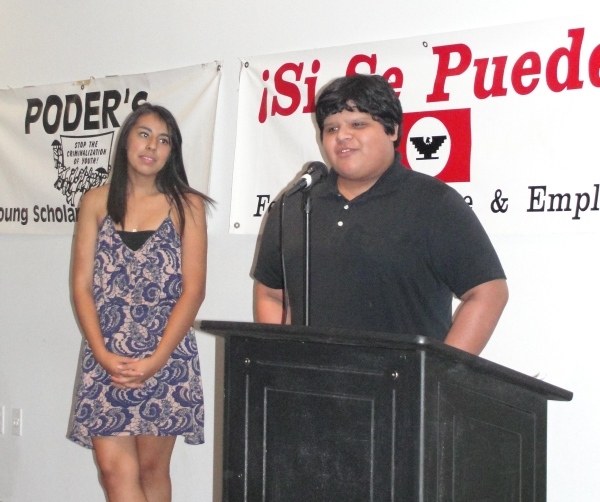 Youth-reporter Christino Herrera has participated in the annual Cesar Chavez march since he was seven. Today, the teen reflects on his respect and love for Chavez's mission. A young woman's journey toward trepanation. Kate (not her real name) starts researching trepanation, the drilling of a hole in one's skull, and she slowly becomes obsessed. When she reaches the point where she knows that she'll never be able to hold her head high, in life, without having undergone the procedure herself, she decides to take the plunge. This is her story. A young man takes his girlfriend to a cherry orchard. They ascend a ladder together. Thus starts a magnificent love song about young love, written and interpreted by Francis Cabrel. "The Dress and the Ladder" is an unusual name for a powerful, spellbinding love song. Such is the talent of Francis Cabrel. The ordinary becomes special. Cabrel is much loved in France for his talent, his moral fibre and his modest life style in a small village in the South of France, far away from Paris. This is a poem by Boston area poet and Suffolk University professor John Mulrooney, recorded at the Boston Poetry Massacre on July 30, 2004. Maybe it was because the convention had just ended. Maybe it was something else. But the air was more charged than usual at the Boston Poetry Massacre this year. This marathon of poetry readings, sixty or so, all packed into one weekend, is an annual tradition here. Since it began in 1998, it's had many organizers, and many names: The Boston Poetry Conference, The Boston Alternative Poetry Conference, The Boston Poetry Marathon and last year's more utilitarian "60 at MIT." This year's title, "massacre," fit the impression that everyone was reciting their work as though their life depended on it. The event began just hours after John Kerry had delivered his acceptance speech to delegates at the Democratic National Convention, just a few miles down the road from Wordsworth Books in Cambridge, MA, where the readings were held. All week we'd been hearing that Kerry needed to give the speech of his lifetime. And whether he did or not, many of the poets at the Massacre seemed to give the readings of their lifetimes, John Mulrooney included. Last year, Mulrooney began his reading with a quote from Secretary of Defense Donald Rumsfeld (or D.H. Rumsfeld as he called him), lovingly reciting the words as though it were an Emily Dickinson poem. So this year, when he got behind the podium and said "I'd like to dedicate my reading to the department of homeland security" I thought he was joking. But what followed was one of the most haunting, relentless and evocative poems I have ever heard, equal parts Dylan Thomas and Allen Ginsberg, all sewn together with the refrain "If you see something, say something," which seemed to gather new meaning every time he said it. It occurs to me that that's a poet's job, saying something when they see something. They don't need to be asked. So when they *are* asked, the result is going to sound something like this.